My Lenten journey ended in a downward spiral that resulted in a serious meat coma after annihilating what looked to be a plate of brontosaurus ribs at Lucille's BBQ. Actually, I gradually gave up on Lent a couple weeks ago when I decided that I was being overly ambitious by giving up fried foods, red meat, and soda. So in turn, I decided to give up fast food with an emphasis on El Pollo Loco. Again, that failed after I unconsciously indulged in some Burger King. BUT...I haven't touched any El Pollo Loco since I swore it off. Therefore, I have retained some of the little holiness and moral decency in me. I think my lowest moment for the Lenten season would have to be last Friday when I desperately wanted chicken tenders. In case you don't know, Catholics abstain from eating meat on Friday's for some strange reason. It probably has something to do with the Papal whats-it's and the Vatican being vicious sadists. Anyhow, I really wanted chicken tenders so I thought long and hard about whether I should compromise my religious integrity for some chicken. I decided to consult my holy adviser, St. Myrna a.k.a. woman who expelled me from her birth canal, to see if there were any loopholes in existence that might pardon my carnal cravings. After I begged her profusely for chicken, she told me that I could have chicken just so long as I prayed the rosary afterward. This sounded like a fair trade to me but to my dismay, I realized that I didn't have a rosary handy. Therefore, I came up with the genius idea of online rosaries. Unfortunately, I wasn't the first to come up with the idea. The people at The Fatima Network (http://www.fatima.org/essentials/requests/onlinerosary.asp) beat me to the punch by creating an online rosary that guides you through each prayer and comes complete with an "AMEN" button. I tried to pray the online rosary at work but my colleague banned me from doing it anymore because I was "bad at it." I eventually gave up and ate calamari, which is both an animal and for some reason acceptable to eat on Friday's according to the Dead Sea Scrolls. 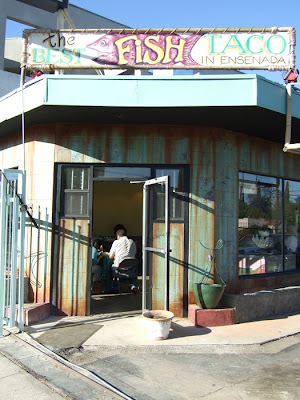 In other news, I went to a taco place in Los Feliz appropriately titled, "Best Fish Taco in Ensenada" the other week and was bestowed with the highest compliment that I have ever received. After I walked in, the owner walked in after me and approached me with the warmest of greetings. He looked like Santa and had an exotic British accent. Actually, he might not have had an accent. He then told me that him and his colleague were developing their branding for the restaurant and wanted to have a fictional Salsa/Taco ambassador type lady to be their mascot. 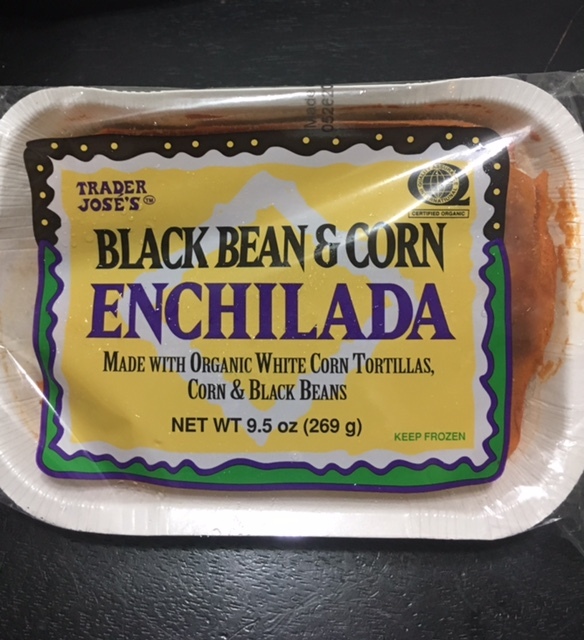 He said her name was going to be Sessy and that she would tell magical tales of the origins of each of their salsa's (I am not delusional, he actually said this). He then told me that when he saw me walking in, him and his colleague thought that I was what Sessy would probably look like. He then proceeded to ask me if they could model the mascot for their taco stand in my likeness. It has been my life long dream to be one day be identified as the mortal representation of a taco goddess. So without any hesitation, I agreed and the man hooked me up with a gang of delicious fish tacos, coupons for more fish tacos, and some of the most delicious horchata I've ever had in my life. He also kept calling me Sessy. I haven't been back since but I plan on going back because I have shitload of taco coupons that need can't go unredeemed. 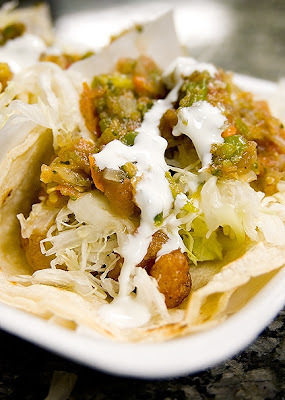 The "Best Fish Tacos in Ensenada"...not quite Nick's Crispy Taco's though.